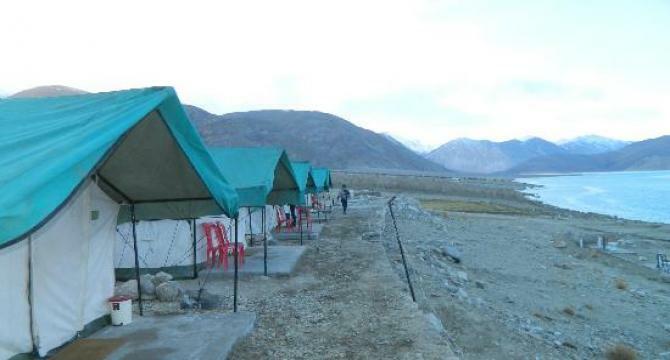 07 Nights accommodation as per Itinerary. 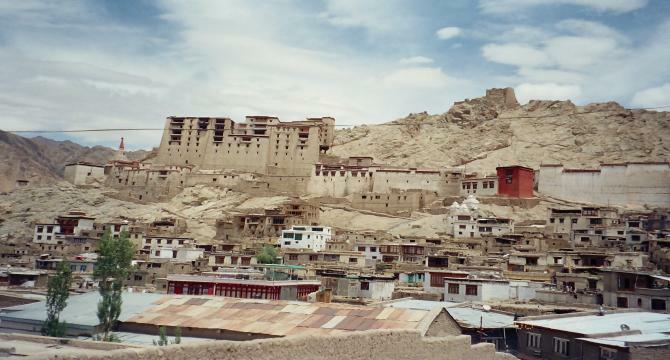 Pick up from Manali & drive to Sarchu. 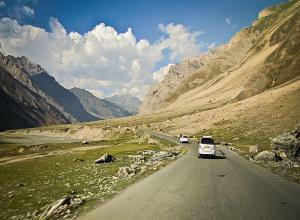 Drive Pass Rohtang Pass(13050FT), Kelong, Jispa & Baralacha Pass(16020FT). Overnight Stay at Sarchu. After Breakfast, check out from the Hotel & drive to Leh. Drive Pass Nakeela & Lachalung Pass (16617Ft). 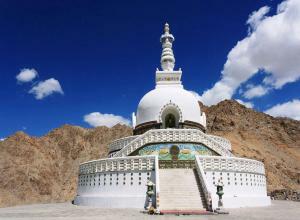 Lunch at Pang & drive further towards Leh passing through Skyangchu Thang & Taglang-La (17585Ft). Check in at Hotel upon arrival. Overnight stay at Leh. After Breakfast leave for half day excursion to Hall of Fame, Gurudwara Pathar Sahib, Magnetic Hill & Sangam View where Indus & Zanskar river meet. Afternoon back to hotel. In the evening enjoy a sunset at Shanti Stupa. 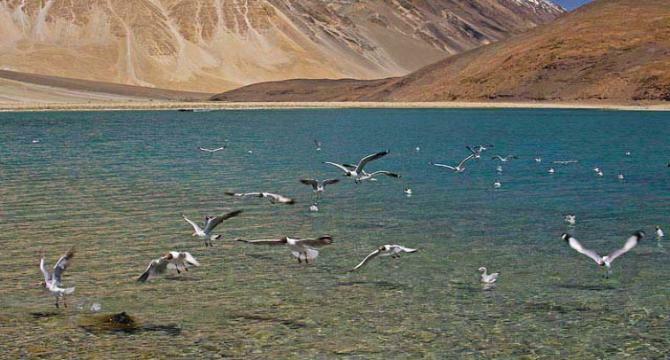 After Breakfast, check out from the Hotel & drive to Pangong Lake, 4400m east of Leh crossing Chngla Pass 17500ft and driving via Durbuk and Tangtse villages in the Changthang region of Ladakh and perhaps one of the most amazing lakes in Asia which changes its color 4 – 5 times a day. Overnight stay in Camp at Pangong Lake. 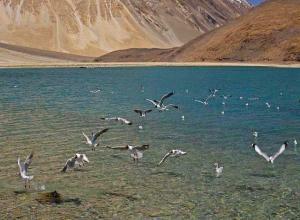 After Breakfast, check out from the Hotel & drive to Leh. Evening free for leisure & own activities. Overnight at the Hotel. 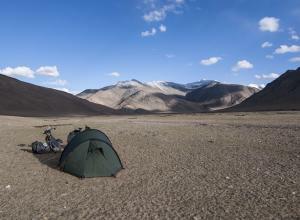 After an early breakfast we drive to Nubra Valley. Enroute visit KHARDUNG-LA-PASS (the highest motorable road in the world) at 18,390 ft. Nubra Valley is popularly known as Ldorma or the valley of flowers. It is situated to the North of Ladakh between the Karakoram and Ladakh ranges of the Himalayas. 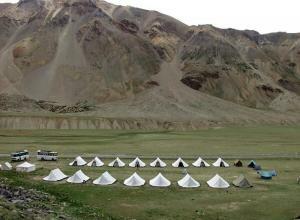 Arrive Hunder & Check in at Hotel/Camps. Later visit Diskit Village & enjoy the Camel ride st Sand dunes. Overnight at Hotel/Camp. 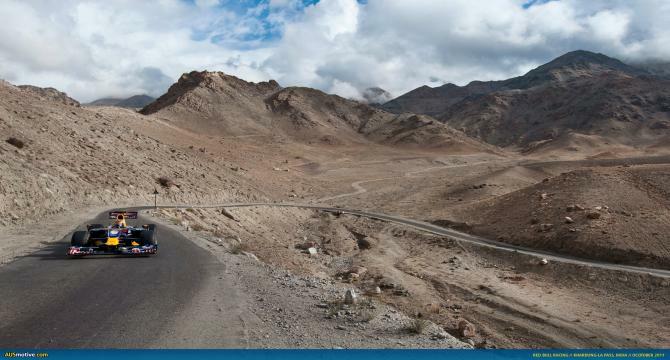 After breakfast, drive to Leh by same route via Khardungla. Check in at Hotel upon arrival. Evening visit Leh Market for Shopping. Overnight at hotel. After Breakfast, check out from the Hotel & transfer to Leh Airport.